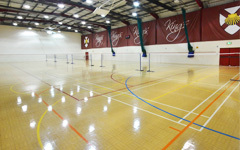 King’s Rochester Sports Centre is a public sports centre providing outstanding facilities to the local community, owned and managed by King’s Rochester. As a ‘dual use’ Centre, our facilities cater for a wide range of sports, recreational activities, private functions and conference hire including bar and catering facilities – for parties / anniversaries / wedding receptions etc. Since acquiring the former Council facility in October 2012 a large majority of our £500,000 refurbishment has been completed. This has included a full revamp of all of the internal areas throughout the Centre, our Sports Hall has seen the most improvement with the introduction of new floor markings enabling us to not only cater for general activities such as badminton, football and basketball but also indoor hockey and netball. 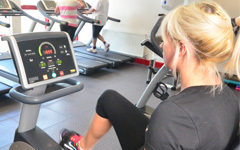 The biggest transformation at the centre has been within Phase Two of the refurbishment; this has included 7 new tennis courts, 5 netball courts and a new range of free weights and weight machines in the fitness room, as well as the building of the new functional fitness studio. 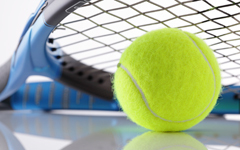 This refurbishment has provided excellent facilities for both school and community use and as a tennis centre of excellence an enhanced Tennis coaching programme for adults and juniors is available.